Thursday, April 8, 7pm. Free. A reading on the theme of “the university” in conjunction with a projection of Sabine Bitter and Helmut Weber’s “The University Paradox”, an installation shown concurrently in Galerie Grita Insam, Vienna. Organized by Jeff Derksen, a group reading of poets who work in and through the education industry. All language is in solidarity against "the shipwreck of the singular" (George Oppen) with all eyes on the future horizon. The lineup of readers is: Clint Burnham, Stephen Collis, Jeff Derksen, Kim Duff, Reg Johanson, Larissa Lai, Donato Mancini, and Cecily Nicholson. A Projection by Bitter & Weber concurrently on view at Galerie Grita Insam, Vienna. A work of mediated images of student protests, university occupations, and political aesthetics from 1968 to today. Drawn from the archives of Simon Fraser University and documentation of the recent occupation of the University of Vienna, this exhibition of mediated photographs springs from the super stylish and super affective political and aesthetic revolutionary campus movements. The Pavilion is a project by Langara College Artist-in-Residence Holly Ward. 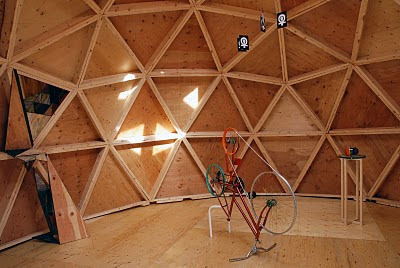 Symbolic of difference and utopian thinking, The Pavilion is a geodesic dome intended to serve as a catalyst for speculative thinking and artistic experimentation. The public is invited to attend the program of events taking place in The Pavilion from January through April 2010. Form to the Back by Devon Knowles, Encore by T&T, When I Stand on One Leg... by Geoffrey Farmer (partial view), and Object of Contemplation by Elizabeth Zvonar. 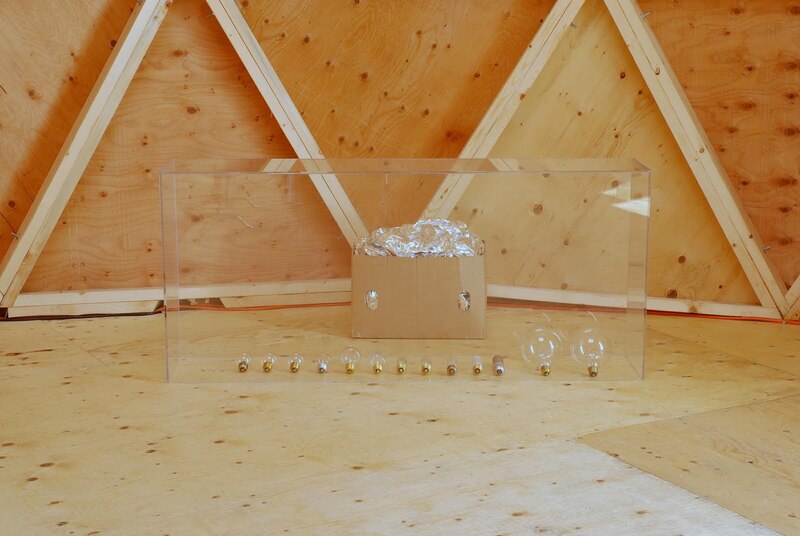 Featuring new work by artists Geoffrey Farmer, Devon Knowles, T&T, Ron Tran and Elizabeth Zvonar, The New Paradigm utilizes the context of The Pavilion as an oracle to present artworks that function as generative, reflexive tools that orient us towards our collective future. Thanks to all who signed up & see you on Saturday, April 3, 12pm. Get ready to get snappy! The Pavilion is a project by Holly Ward, the Langara College Centre for Art in Public Spaces 2009-2010 Artist in Residence. Fee: $10.00, payable by cash only at the door. Enrollment is limited to 8 persons, and will be confirmed on a first-come, first-served basis. subject heading ‘Workshop’ to enroll. 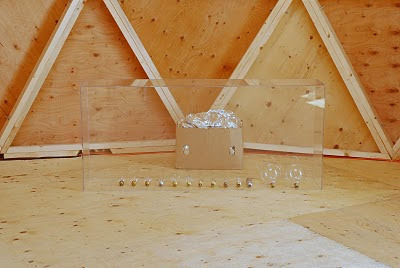 The Pavilion is a project by Artist-in-Residence Holly Ward. 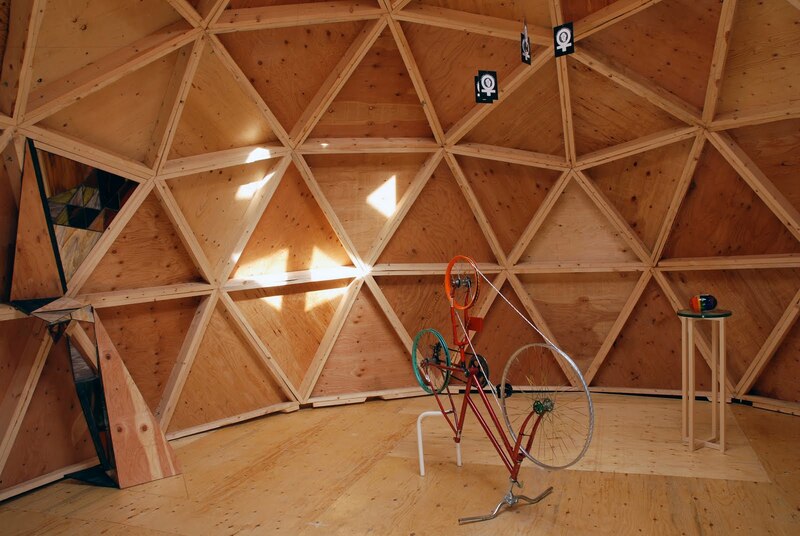 Symbolic of difference and utopian thinking, The Pavilion is a geodesic dome intended to serve as a catalyst for speculative thinking and artistic experimentation. 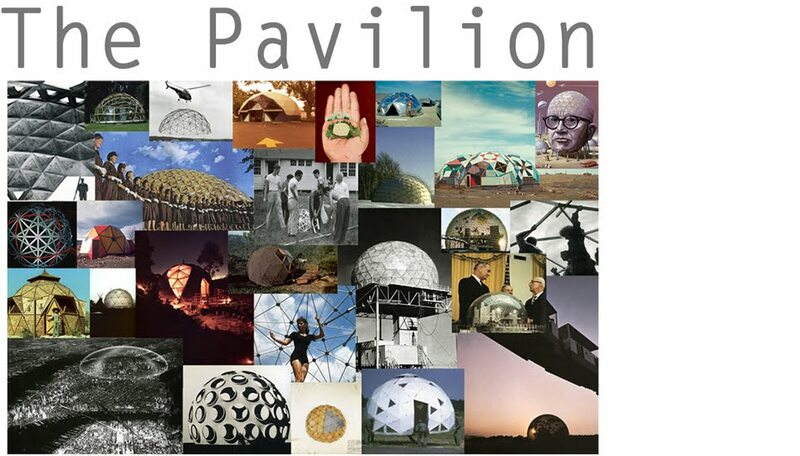 The public is invited to attend the program of events taking place in The Pavilion from January through April 2010.